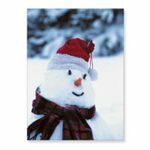 Our Christmas cards with logo from C L Promotions offer you the best designs and artwork to make your Christmas cards with logo the best there possibly is to display over this Christmas season, to make it the best Christmas ever! 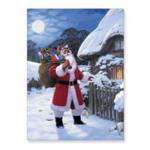 Click to view our Christmas cards with logo range, then let us know your favourite designs. That's why so many companies come to us every year. Simply click the link above and choose the designs you like the best and we'll see that they all get printed with your business details and company logo. We have a massive number of different designs to offer you!